Time to party - linky party, that is! Little Miss. Eliza has recently added a couple of new items to her closet. Here she is sporting her new Matilda Jane dress/tunic! I must say, I'm a Matilda Jane fan for sure - I may need to host a party. ...and here's Eliza sporting her new Elsa wig. LOL! 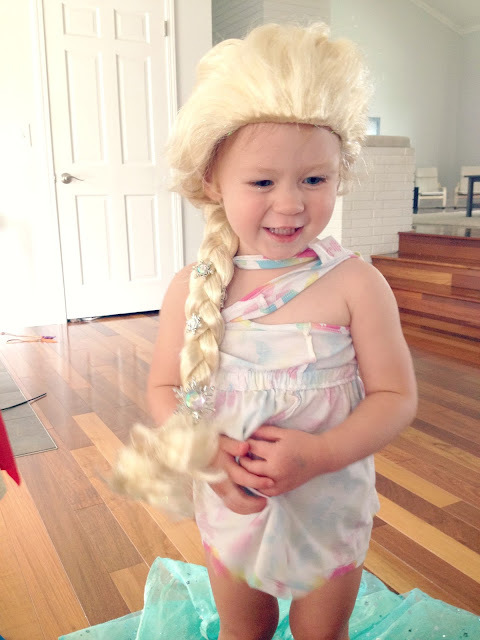 We were picking out her Elsa Halloween costume last week when we came across this wig; she immediately asked for it. It arrived yesterday and every time she puts it on I can't help but think of the tv show, Toddlers and Tiaras! I'm literally laughing right now just thinking about it. She cracks me up! Every year at this time we get these little bugs that swarm our front porch. I don't understand it, they're everywhere - however, there's always a silver lining, right? 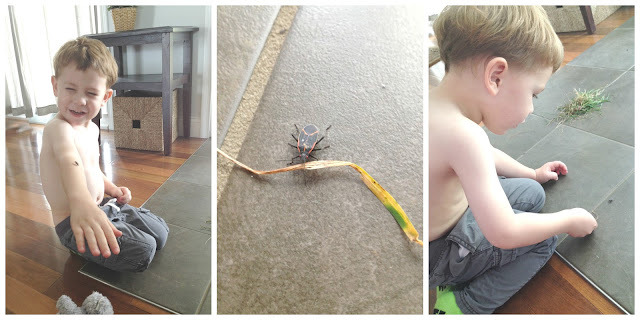 What better combination than a 4 year-old boy and a bug? Henry picked up this bug out of the gazillion that've taken over our front porch. He grabbed a bunch of grass from the front yard to "feed" Mr. Bug, he then promptly removed his shirt so that he could feel the bug walk on his arm, back, and chest. Me? Not exactly my cup of tea. We went on our last boat ride of 2015. The weather has been beautiful and it was so nice to get out on the lake one last time to take in all the pretty sights and the cool fall air. Oh and isn't that house amazing?! It was just built this year and I looove riding past it! It's the epitome of all things Pinterest. Okay, guys. This one still has me laughing! So, the other day I decided not to wear yoga pants. I must've been extremely excited to taste free samples at the grocery store or something because I wore jeggings, my favorite rain boots and this new Old Navy vest. I couldn't let a moment in time like this go undocumented, so I decided I was going to take an "outfit selfie" and perhaps I'd post it to IG. 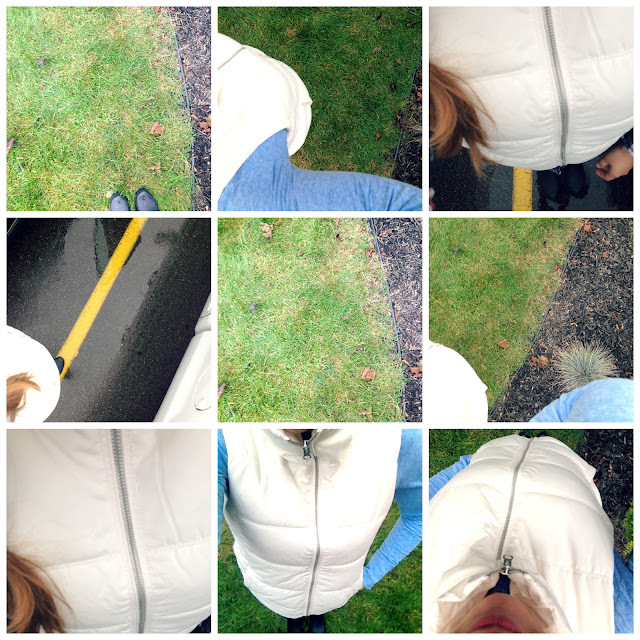 Enter: The biggest-selfie-fail, ever! I'll let the pictures speak for themselves. LOL! Clearly, I'm in need of a selfie stick! 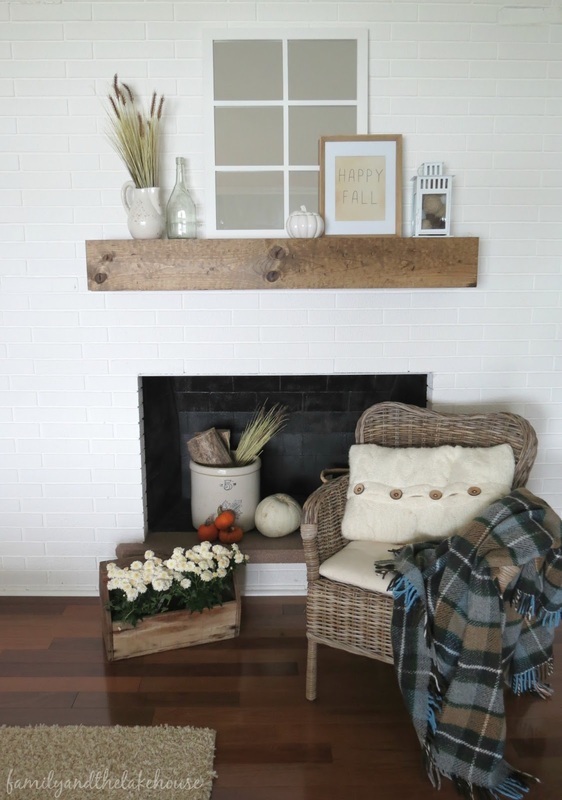 Lastly, be sure to check out my little fall home tour that I shared this past week! Thanks so much for stopping by my little blog today! Have a wonderful weekend out there, people! Ahh love her MJ - did you see the email today for bundles? I'm SO tempted!! Yes! Me too! I love the bundle idea! There's a reason why we're such good friends - we both have EXTREMELY awesome selfie talent! Hahaha! At least we can take a picture together! Eliza's wig!! I die! So funny! And Olivia is going to be Anna for Halloween, so it's too bad that y'all don't live close. They would be the cutest together! Isn't it though?! I'm still laughing! I toooootally wish we lived closer to one another. That would rock! 1. 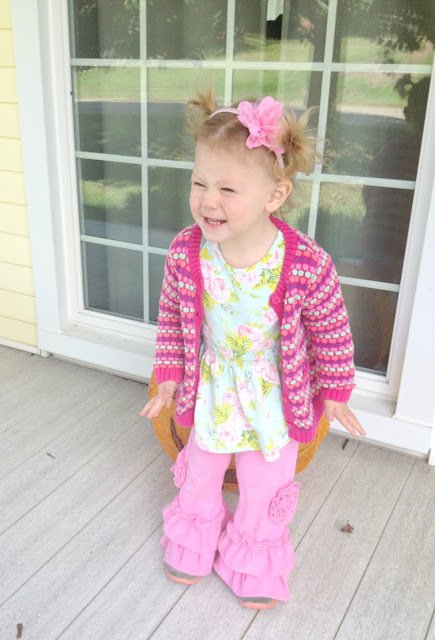 She looks adorable in her Matilda Jane! 2. We get those bugs, too. They swarm all over the side of our house in early October! They're called Box Elder Bugs. My husband did some research on how to get rid of them. No luck. Thankfully, my girls think they're cute! 4. I stink at selfies. 5. Loved your home tour. Everything is so cozy! OMG too funny. Those selfies are the story of my life! Your boat ride looked beautiful. And your daughter is hilarious. My daughter is all about Elsa these days. She will even say "no, don't touch me" just like Elsa does. It totally freaked me out at first and then I realized that's where it was from. The wig is too much! And yep, we are totally into dressing ourselves these days too! Little girls are too much fun! Oh my gosh, how funny! I can't believe she says that. Seriously LOL over here! That wig is amazing! But not nearly as amazing as that house on the water! 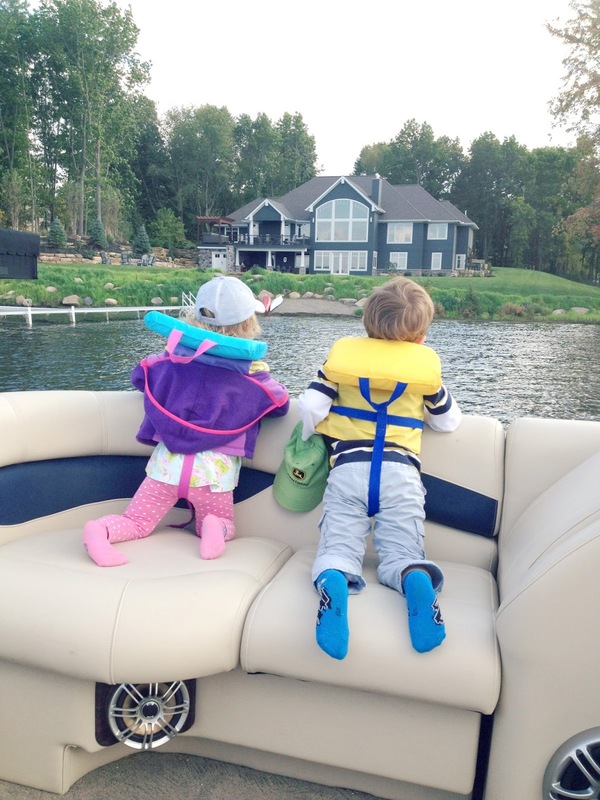 Boat rides are my favorite time to window shop some homes! 1. I started laughing out loud when you brought up the toddler and Tiara bahah. 3. I just checked out your home tour and it is absolutely beautiful!! Haha! So funny, right?! LOL! I know. My selfies are terrible. We need to invest in some selfie sticks, for sure! Thanks for stopping by the home tour! You rock! Pretty trees and pumpkins galore! Five...errr...Ten on Friday - Rule Breaker!